Calling all college students! Here’s an awesome freebie for ya! 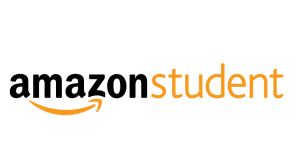 You can score a FREE 6 month trial of Amazon Prime ($49 value) courtesy of the Amazon Student program! You’ll receive FREE Two-Day Shipping and exclusive student deals on college necessities and other cool stuff. Plus you can watch 40,000 movies and TV episodes on your laptop, phone, tablet, and gaming console. Oh, and if you refer friends to the program, you’ll earn $10! If when the trial period ends you would like to continue the perks, you can rejoin for 50% off (Regularly $99).